It took me a while to figure it out, but I get it now and fully embrace it. My youngest is a heavy duty sensory seeker and just wants to take it all in! But there's also a fine line where all the stuff becomes too much and overwhelmed meltdowns occur. Too many options at home with toys or too many kids on a playground making it loud can take her from happy to upset in minutes. The best thing we have found so far that helps ground her, as well as her sister and I, is exploring in nature. The calm and quiet help slow down her naturally busy body. But with so much to see, smell, touch and do, it keeps her seeking nature occupied and interested and helps regulate her for the rest of the day. With so many wonderful parks and trails in and around Edmonton, and the fact that we homeschool and have more daytime availability to get out and explore, we try to get out on a nature walk 2-3 times a week. Here are some of our favorite ways that we incorporate nature into my daughter's sensory diet. Water Play - Baths are one of my daughter's favorite activities, but once outside, she gravitates to puddles, streams and lakes. Sensory kids love jumping to get the proprioceptive input (input received through joints and muscles) they crave. Add the splash from a puddle, and it is irresistible! Wading barefoot in streams and lakes will help ground them while they enjoy squishing their toes in the sand and feeling the water splash on them. 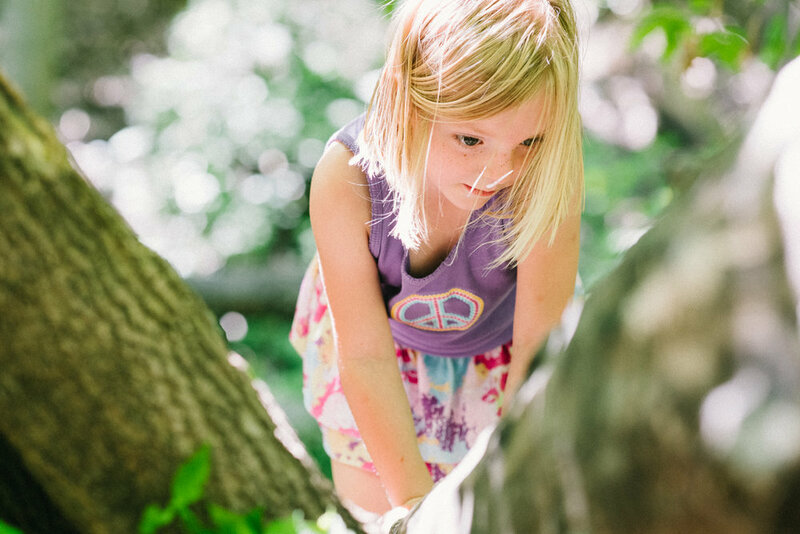 Balancing on Logs - Sensory kids tend to appear clumsier that others, due to issues with their vestibular receptors (senses related to movement, balance and coordination). Hyposensitive children love spinning in circles or could spend hours on the swing, and hypersensitive children are the opposite and are fearful of climbing, heights, or activities where they have to close their eyes. 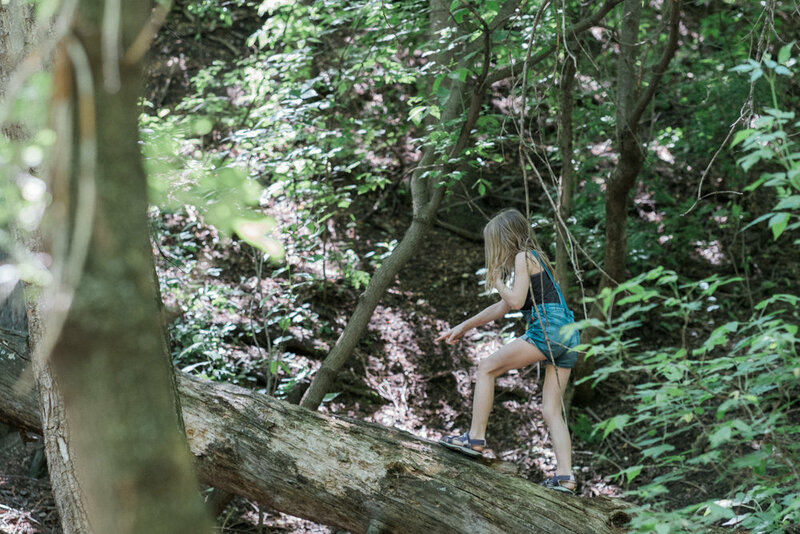 Out in nature, walking across logs can help improve balance and their vestibular senses, plus they love the accomplishment of making it across! Climbing Trees - Full body strengthening and coordination are two important areas sensory kids need to work on. In therapy sessions and at home, they are often given heavy work (activities that push or pull against the body - climbing on playground equipment, carrying grocery bags, crab walking) to help give the body the input it craves. Climbing trees creates the same input with pulling yourself up or hanging from a limb. Plus coordination and problem solving come into play when they need to decide their next step and figure out how to get down! See, Smell, Touch - Sensory bins are very popular with toddlers, preschoolers and sensory kids. Nature is the ultimate sensory bin, with beautiful scenery and insects and animals to observe, flowers to smell, and rocks, leaves, moss and so much more to touch. 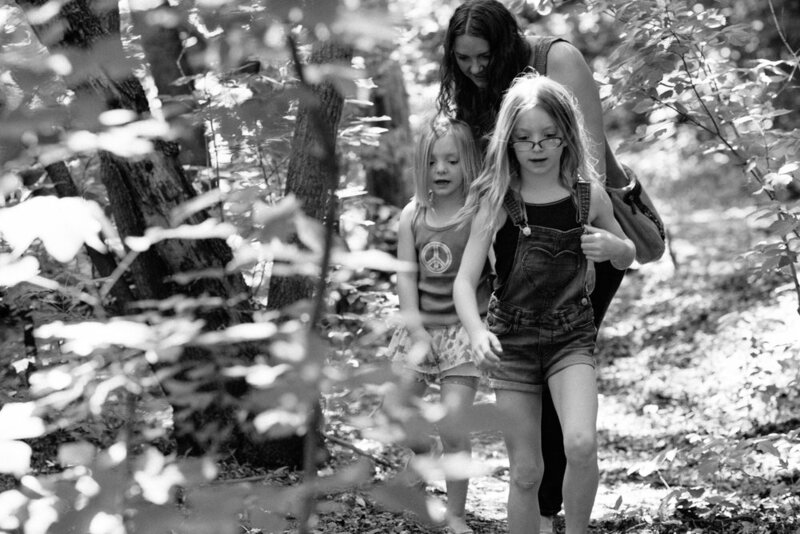 My daughters love digging around in the dirt, feeling the needles and leaves on the trees and looking for the perfect walking stick to hold on to for the walk. So take a break from the busy, sometimes chaotic city life and explore nature with your children. They will appreciate the calm and still have fun exploring and getting the sensory input they crave.